Two community groups have been leading the fight against fly-tipping. 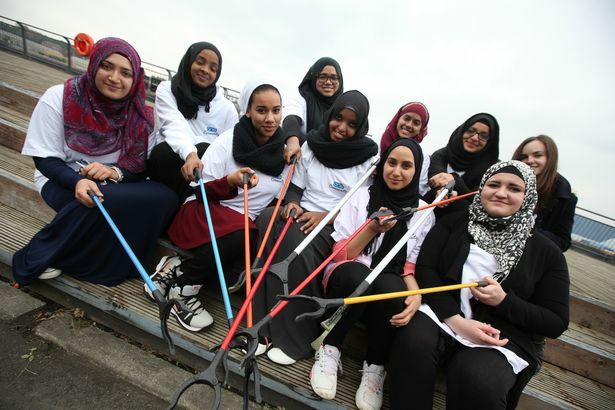 Volunteers from UK Islamic organisations One Community and the Islamic Diversity Centre (IDC) embarked on their Clean-Up campaign at the Riverside Park, in Hebburn, South Tyneside. Both organisations hope to have a big impact clearing the mess caused by fly tipping and anti-social conduct in the borough’s biggest parks. Project manager Abu Tayeb believes UK Muslims must strive to improve their local area, in order to create a more pleasant environment for people of all faiths. He said: “It went really well. We had about 20 volunteers but we had a lot of words of encouragement from passers-by as well. “We have done these neighbourhood clean-up programmes before in Newcastle but we wanted to spread it out more and encourage more people to get involved. “The government’s austerity cuts have had a knock-on effect things like littering and, as a Muslim, part of our duty is to be active in the community and help our communities. “Indeed, it is reported that the Prophet Muhammad said “removing a harmful thing from the path is a charitable act.” If we are true to the teachings of our religion, we should be having a positive effect on the world around us, and this initiative is a great way to do just that. South Tyneside’s Lord Mayor joined the volunteers and also got stuck-in with the clean-up. previous Has science buried God?